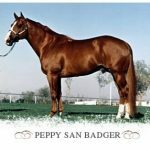 Mr San Peppy earned more than $107,850 in NCHA competition. 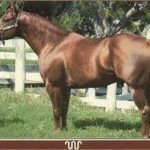 His foals won more than $2.63 million in NCHA competition, not to mention earning more than 3,200 points in AQHA competition. 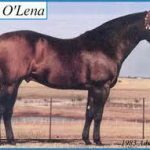 Doc O’Lena sired 1,310 foals. 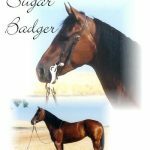 Of these, 321 accumulated 3,978.5 points; 87 earned performance Registers of Merit (also nine amateur, three youth); nine earned Superior performance awards; four were world champions; six were youth world champions; six were youth world champions; and four were reserve world champions.